I’ve never been banned from anything. Don’t get me wrong. I was once escorted out of a Las Vegas nightclub long before Johnny Manziel made it fashionable but that’s a story for another time. 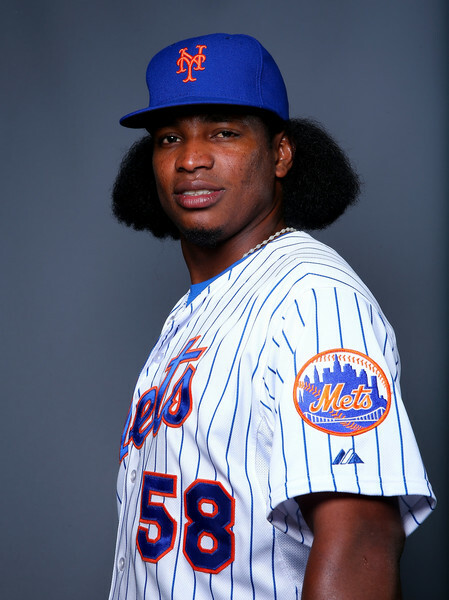 I bring this up is because former New York Met, strike that… former professional baseball player, Jenrry Mejia, has been banned… from baseball… for life. No more uniform, no more batting practice, no more baseball, hot dogs, apple pie or Chevrolet, no more anything baseball-related for Mr. Mejia. At least not at the Major League level. Last week Mejia became the first major leaguer ever to receive a lifetime ban for using performance enhancing drugs. And even though you’ve probably never heard of Mejia, his banishment made big news, the answer to baseball’s all-new trivia question. Agree with it or not, Mejia’s exile means we’re that much closer to a new era for the sport. The three strikes and you’re out policy is the brainchild of former baseball commissioner Bud Selig who, after years of dealing with its greatest players using steroids, finally decided his sport had had enough. His desire was to implement what he called the strictest drug policy in all of professional sports. 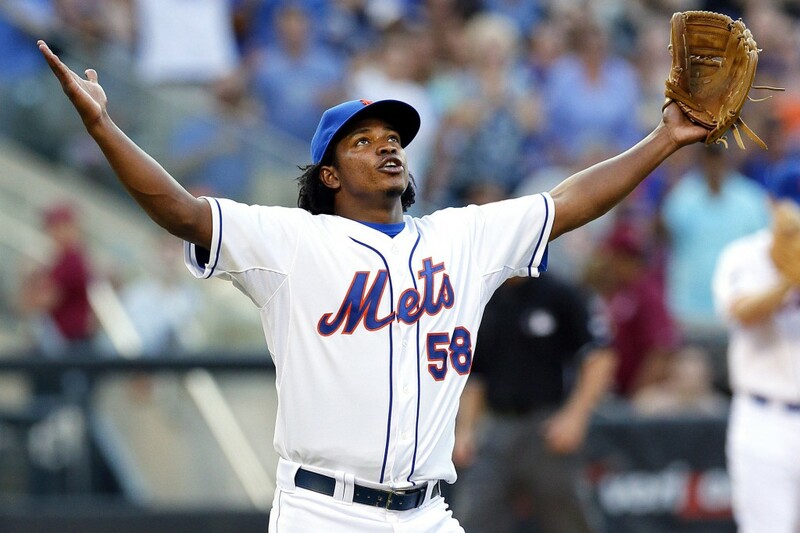 Jenrry Mejia is not arguing that although is currently appealing it. He better call Saul. I don’t see anyone outside the Jenrry household crying for his reinstatement. Mejia, of Dominican descent, played five years in the major leagues, all with the New York Mets. He was a utility pitcher, starting some games, relieving others, apparently on the juice for most of them. And now he’s gone. At least now we know the game is doing its best to clean itself up with Mejia serving as its first lifetime casualty. Mejia’s departure made big news, as it should have. After all, the sport still struggles with how to honor its all-time greats who used HGH… allegedly. Every year we question whether Bonds, Clemens and the like should be allowed in to the Hall of Fame with sportswriters ultimately saying nay… for now. Even though we’re no longer seeing baseballs fly out of the park with the Sosa-like frequency of the steroid era, one would have to assume Selig’s policy worked. After twenty some odd years in office, it looks like the old man finally got something right. Mejia’s lifetime ban represents a step in the right direction. Major League Baseball has finally made it clear that it will no longer tolerate performance enhancing drugs in its clubhouses. The future of the sport looks to be clean. Now if we only figure out what to do with its past. This entry was posted in Diamond, Featured, Life of Sports Chump and tagged Barry Bonds, Bud Selig, Hall of Fame, Jenrry Mejia, Johnny Manziel, MLB, New York Mets, Roger Clemens, Sammy Sosa, Steroids by Chris Humpherys. Bookmark the permalink. Great last paragraph SC. I know a lot of baseball fans struggle with all this. Yes, this is a significant event because the precedent is now set. The Ryan Braun “mishandling” of results still makes me wonder if a MLB superstar actually would be banished but that’s the cynic in me. That being said I’ve never had a problem with these guys taking the stuff in the first place. But if the powers that be do have a problem with it…at least apply the standards to everyone evenly going forward. The sport makes the rules. The fans live with them. For the longest time, baseball never tested for HGH. It even benefited from its use. Then it determined it led to playing field that wasn’t level and who’s left holding the bag? I’m with you and probably most of the baseball fans out there, Burnsy. We never really cared players were using. And while it looks like they’re on the right track now, they still have a mess to clean up. Let’s hope we’ve finally turned the corner on the problem of performance enhancing drugs for good. Regardless of whether or not his lifetime ban is upheld, it’s evident that the long term frustration of fans and historians alike regarding this issue has finally been adopted by the players. The fact that the younger generation of players is openly criticizing new offenders is promising. So much so that younger players players are expressing frustration that their union fees can go towards the defense of players like ARod. Bud Selig has been criticized at length for a variety of topics over the years but no one can refute that drug testing has worked. Home run statistics have fallen off a cliff in the wake of the publicity surrounding Conseco, Bonds, McGuire and Sosa just to name a few. I live for the day that we can admire a modern day player’s numbers without pausing to question if that player was clean. Bull#hit hypocrisy of the Mets and MLB hierarchy as the player can actually be reinstated after serving two years his supposed lifetime ban ? What sort of message is the new Commissioner Rob Manfred , now trying to send ? Baseball is ridiculous at present ! This player can seek reinstatement after two years of his alleged lifetime ban. What type of message is Rob Manfred wishing to send ? and yet chose to break the rules — three times! hit the bricks pal, you’re fired!!! Look at Liar North going all Nancy Reagan on us. Just say no, my friend. But you’re right. The newer generation of baseball players denouncing HGH is a good thing for the sport… assuming they’re telling the truth. So now we have, what, a fifteen year period where we watched and don’t know what to believe? Who was on ’em, who was not, sorta thing? Like I said, there’s an answer in here somewhere. We just have to find it. I hadn’t heard that, Al. And I’d be very surprised if they let him pitch again. Manfred can’t be seen as soft on this issue. Otherwise what’s the point of having the policy in the first place? You got that right, I.
I don’t think anyone here feels sorry for the guy.